Surveen picked a JJ Valaya printed anarkali to attend Baba Siddique’s iftar party held recently. Wearing her hair in a simple bun, she rounded out her look with a pair of gold-toned earrings. 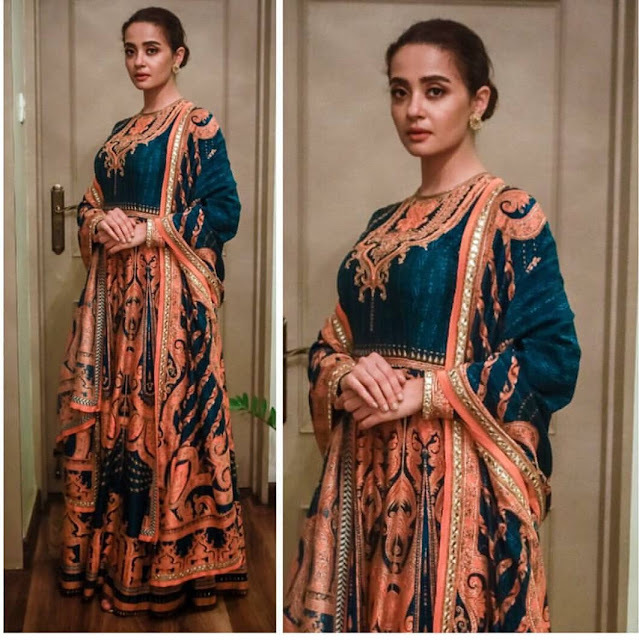 Can’t say I was a fan of the anarkali but that is not to say Ms. Chawla looked bad in it. She made the look work for herself, she looked good! Love the embellishments on this look. Stunning!